The National led Government has thrown a substantial amount of money on dubious projects and yet have refused to increase spending on areas where real need has been clearly established. 50% of our children experience poverty at some time in their lives and most young families are struggling financially with their incomes dropping in real terms. 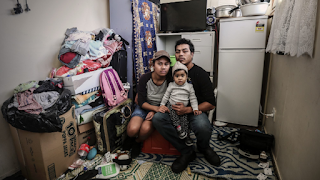 We now have working poor, families with both parents in work but because major living costs such as housing are increasing and minimum wages fixed at a level that is unlivable, they are dependent on financial support. It is within this context that the Government is looking at how they manage emergency grants for families. $62 million a year is spent on groceries for beneficiaries and struggling families and Social Development Minister, Paula Bennett, wants to address this spending and cut costs. As with many decisions that the National Government appears to make, Bennett is ignoring professional advice and research and referred to her own views to justify an ideologically driven commercial solution. Rather than a family receiving a $150 food grant to spend at their own discretion, Paula Bennett is talking to Supermarkets regarding the possibility of them delivering prepackaged food parcels. This may indeed result in huge savings for the government, but allowing corporates to manage such support is a dangerous concept and I had visions of Jamie Oliver's revelations about how the US food industry had dictated the quality of the food served in schools. Bennett claimed that her views were based on "anecdotal evidence" from people around the country showing that beneficiaries don't know how to cook and generally rely on instant food. The Minister is deliberately creating the impression that food parcels of processed food is acceptable and, as this is what most beneficiaries eat, more expensive healthy food is wasted on the poor. While I am sure there are many families that do indeed rely on such food, the implication that most beneficiaries and recipients of food grants fit this description is unreasonable and simplistic. Supermarkets will receive funding to provide the parcels and, because they are profit driven, will naturally look at how they can make financial gain from the scheme. The most obvious would be to fill the food parcels with less popular lines or products close to their "best before" dates. They would also look at products that provide the greatest profit margins and in this way make enough to cover the costs of deliveries and still provide a good return overall. 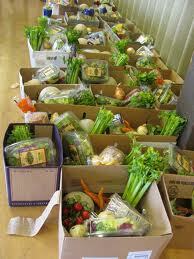 Nutritional needs will not be the sole driver for determining the food parcel's contents. For some families what they receive in the parcels may actually be of greater nutritional value than what they may have purchased themselves but I can imagine for a great many more the parcels will not meet their needs. They will receive "one size fits all" packages that will probably not recognize the diversity of food needs that exist: cultural differences, food allergies or dietary preferences. When families purchase their own food they can tailor their purchases to meet their specific needs and take advantage of the savings available from different retailers. I can imagine a higher wastage of food when families discard the food they didn't want and then have to spend more of their restricted funds to buy replacements. National have cleverly created an image of beneficiaries as a hopeless group of people who are unable to cook or manage their finances and should be grateful for anything they receive from taxpayer funds, including these wonderful food parcels delivered to their doorstep. The fact that at least 25% of families may have to receive such a parcel is conveniently ignored and so is any determined effort to address the causes of the poverty that made the parcel necessary. I guess the Supermarkets will be grateful for this windfall and, with profits already very strong, will ensure that more money shifts to those who need it least. This is not what Paula proposes. Post Script: Given the hundreds of millions the government spends on consultants I wonder if they would make greater savings in food costs if they limited what consultants charged for meals in expensive restaurants as revealed by this article. Unbelievable!! Talk about the nanny state!! And National used to wah on about "Aunty Helen"!! Well Uncle John and Aunty Paula take the cake. Have they done any research into why these people need food parcels, because I'm sure it isn't because all of them are no hopers. From personal experience of having to be a "government employee" of WINZ a couple of years ago, my dole, including the accomodation allowance, didn't even pay my rent, let alone for food, electricity, gas, phone & internet (essential when job hunting) and petrol. I had a $40 shortfall each week to pay my rent. So consequently the power, gas, phone and internet bills did not get paid... and it took me two years to get out of the debt I got in while being a "government employee" of WINZ. I wouldn't want a 'prepackaged' food parcel... it wouldn't take into account anything about how I eat, cook, or tastes. One by product of being a "government employee" was I got a bit more creative in the kitchen!! Had to make my food work for me. Melulater-I'm sure your story reflects many. For most people a benefit is short term support to help them through a difficult patch. 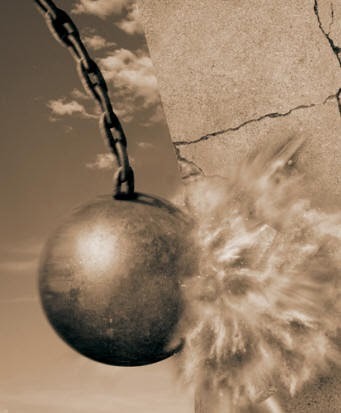 Taking away self determination will only diminish self worth and slow the process of recovery to independence again. Their attempt to have beneficiaries viewed as useless wasters and a drain on society is not accurate nor helpful and their policies are contributing to greater numbers on benefits anyway. 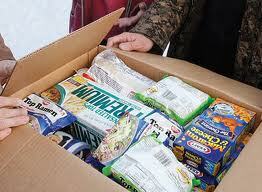 If benefits were raised to a livable amount food parcels would not be needed. This claim that most beneficiaries live off instant food is rubbish. Most live home cooked and cooked in a way to feed the most number of mouths. National would rather waste money throwing it at un needed roading than the things the poor need. I'd love if you'd share your favorite low carb recipes with me. Easiest and also Delicious gets 10 points! !.